Jurgen Klopp was delighted with his side’s victory over Crystal Palace today, but still had to field questions on wantaway Brazilian Coutinho after the game. Liverpool won 1-0 thanks to Sadio Mane, who’s gone to another level in our no.10’s absence – which has far more to do with his current state of mind than his ‘back injury’. 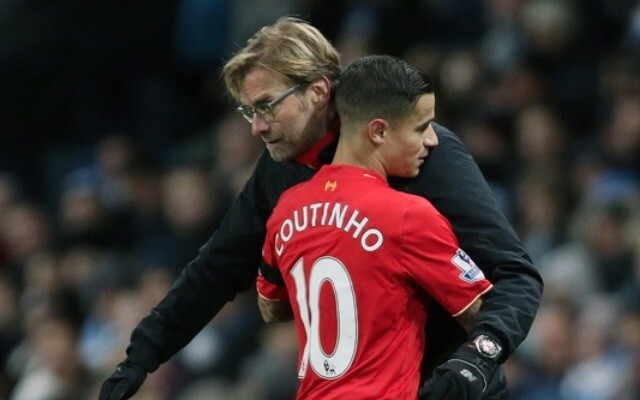 The boss confirmed as much with his post-match comments, indicating he’ll only select Coutinho again once the transfer window is closed and he can be reintegrated into the side without the distraction of Barcelona’s mega-bids. “I don’t think it makes sense in life that you think too much ahead, what can happen when,” he said. “The situation is like it is, nothing changed [with the club’s stance]. “When there is no other decision possible anymore, on the 31st of August, then we have to think of something. Liverpool rejected Barca’s 3rd bid yesterday and have no plans to sell, but it may take until September for Coutinho to realise we’re entirely serious. For now, we need to get past Hoffenheim and hopefully do another job on Arsene Wenger’s Gunners before thinking about the role Coutinho could play in Klopp’s exciting side.